New York — The Committee to Protect Journalists welcomes news that Ethiopian journalists Eskinder Nega and Woubshet Taye are free from prison after each served nearly seven years. Woubshet and Eskinder were both arrested in 2011 and convicted in 2012 in unrelated cases. CPJ research shows that the terror-related charges the journalists faced were fabricated in retaliation for their critical reporting. 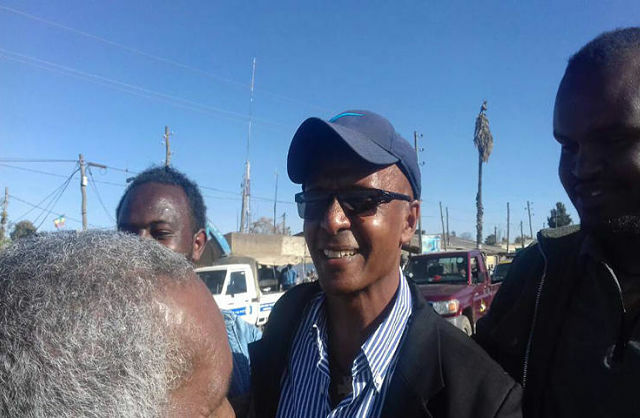 Eskinder, a prominent columnist and editor of now-shuttered newspapers, and Woubshet, a former editor with Awramba Times, were among 746 prisoners that the Ethiopian government last week announced would be pardoned, according to news reports.